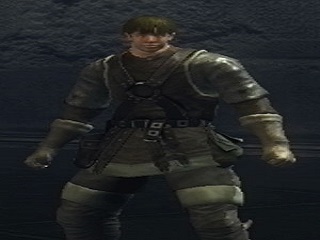 Acolyte of God is a NPC in Demon's Souls. He will tell you about how he lost his courage and left Saint Urbain in a trap. If you talk to him after Patches appears in the Nexus, he will speak disapprovingly of him. If you kill Saint Urbain in the Nexus, he will become hostile and attack you with a Dagger. Drops 175 souls when killed. I swore allegiance to Saint Urbain, but was of no use to him. And now I have run away, and abandoned his Honourableness. For I have not the strength to punish myself. Oh, Honourable One, I hesitate to imagine your present state. Deep within the darkness, where no light shall ever shine. Will you continue to pray, even in such misery? I swear that I will catch that blasted Hyena some day soon. He fooled me, and kicked the Honourable One down a trap door behind the altar of a shrine. I… lost my nerve, and very swiftly fled out of that place. My! You have rescued the Honourable One! I express my deepest gratitude. You have relieved me of a great onus. With Lord Urbain back, the magicians will have to watch themselves. Thanks to his holy miracles, you brave battlers of Demons will no longer be solely dependent on dark magic. Isn't it wonderful? Surely the Demon slayers have awaited such an opportunity! Do you have any connection to Patches the Hyena? I trust not. He is a depraved, vile man, and he deserves no allies. I hope that an upstanding hero such as yourself is selective when making associations. By the way, I highly recommend the companionship of the jovial Sage Urbain! Have you heard the rumours about Astraea of the Valley of Defilement? They claim that she and her loyal knight have become Demons, and lead a clan of degenerate miscreants. In truth, the rumours are surely unfounded. There are all sorts of wrongdoers down there who would think up such nonsense. Then may she be eternally *****ed for her debasement of the Lord's name! You have turned against God's teachings! Let heaven's wrath be set upon you!